Sett med dies fra Concord & 9th. Brukes i en stansemaskin (Big Shot el. lign.) for å stanse ut eller prege/ embosse. 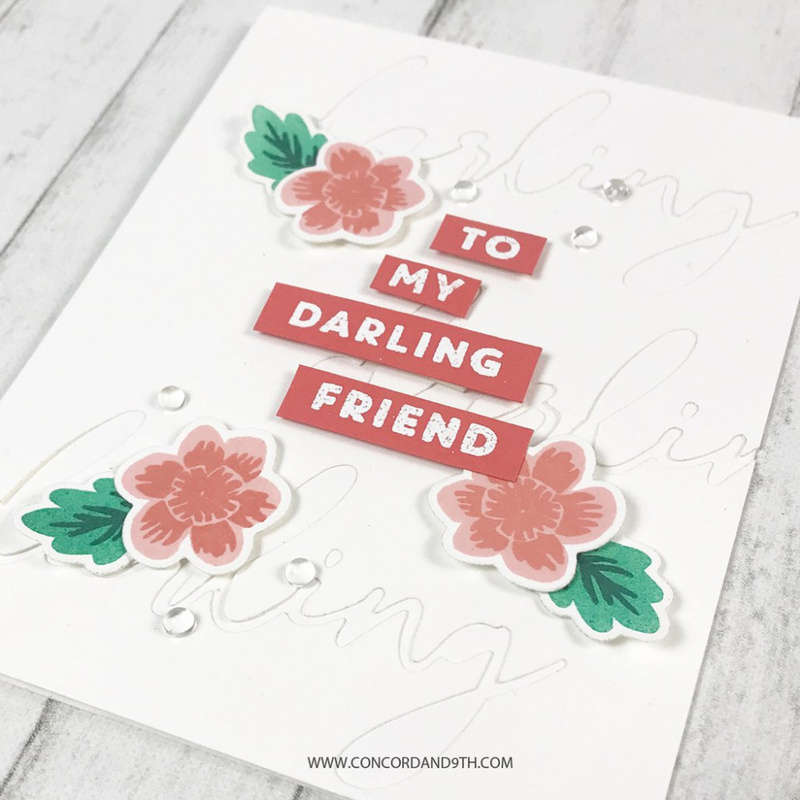 Inneholder fire dies som brukes sammen med Darling Petals Stamp Set. Introvideo finner du her. Produsert i USA. 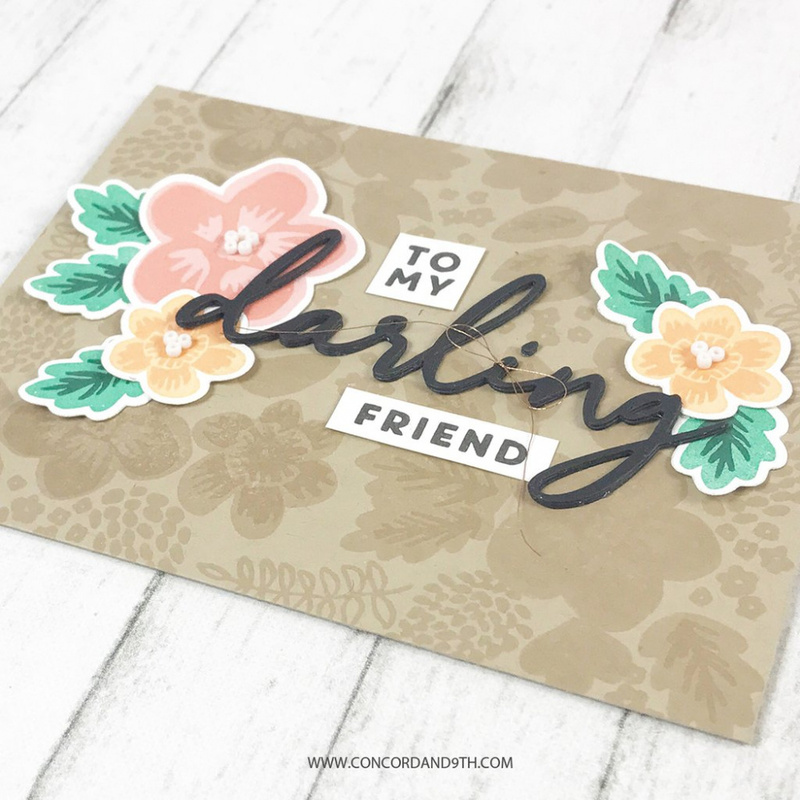 4 piece die set that coordinates with Darling Petals stamp set. 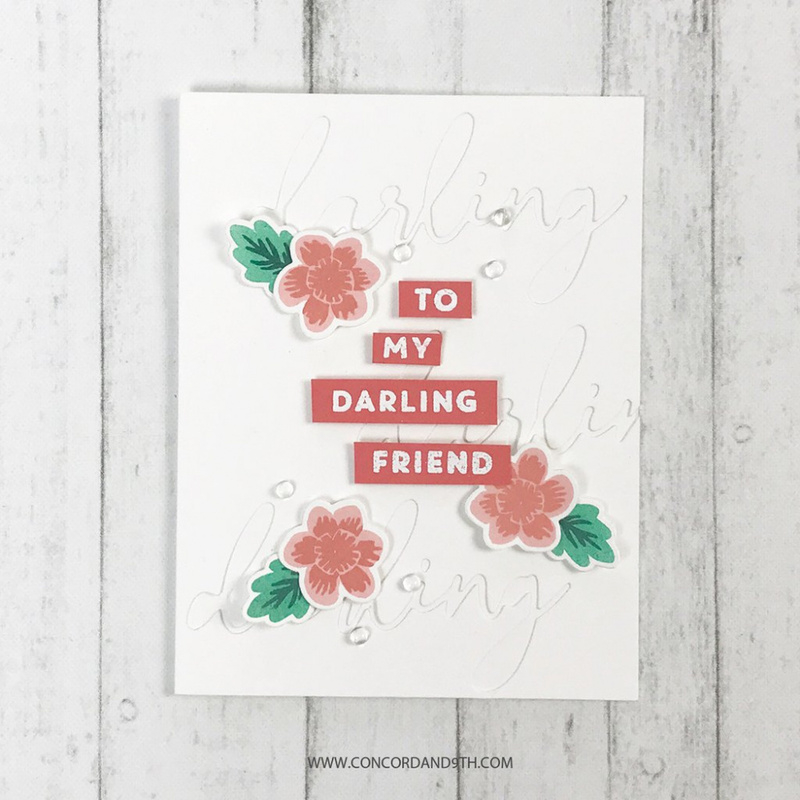 Includes large darling die with small flower and leave accents. 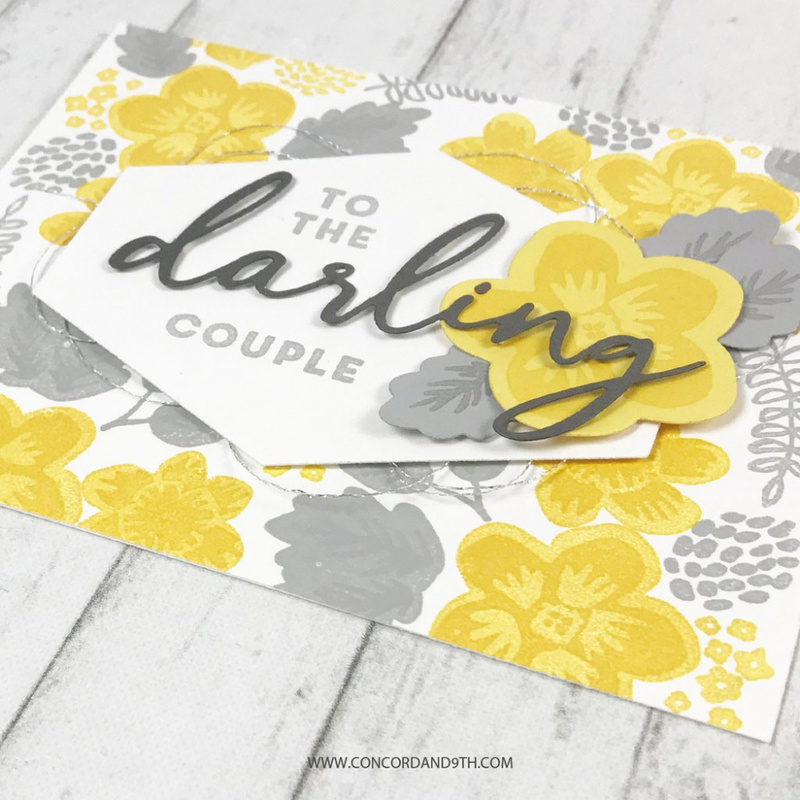 Use this die to layer and add dimension to the unique split turnabout. 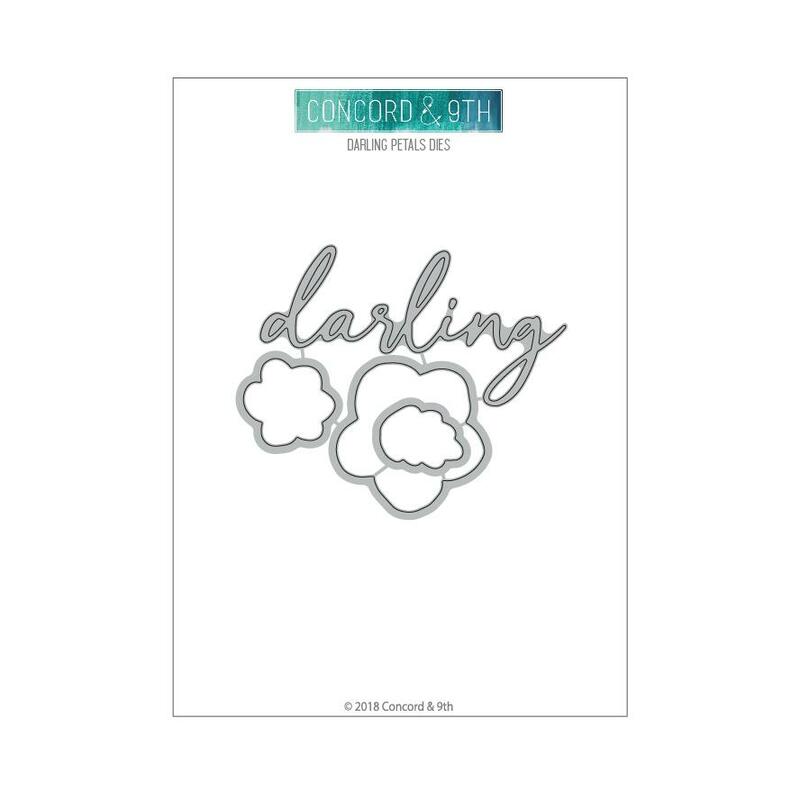 DARLING = 3 1/2" x 1 7/8"
Large Flower = 1 3/4" x 1 3/4"
Leaf = 2" x 3/4"
We are Greg and Angie, two people with a passion for crafting, design & product development. Our paths crossed in 2010, a great working relationship ensued, and five years later Concord & 9th was born. 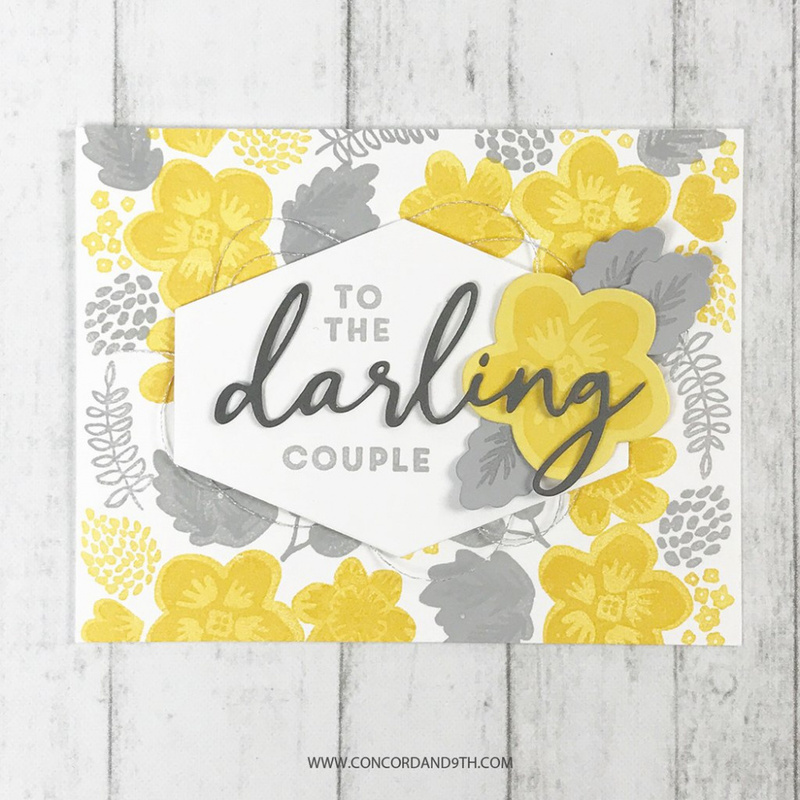 Together, we hope to inspire your creative side, and provide exciting, high-quality, and innovative products. Many people have asked what "Concord & 9th" means. It's simple really. It's a hybrid of our crossroads. Greg lives on Concord and Angie lives off 9th. 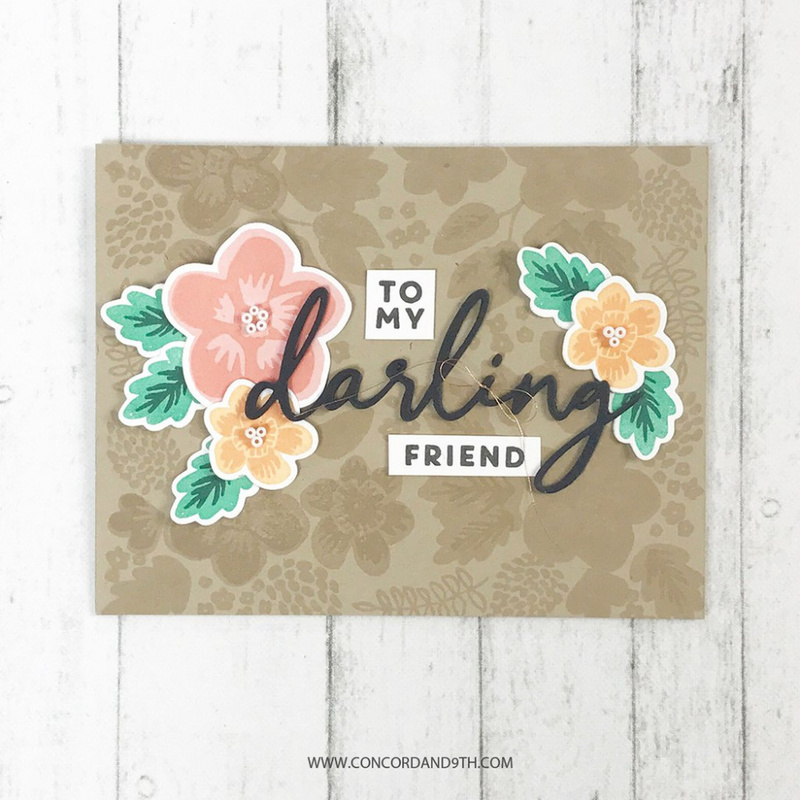 We love the idea of creativity coming together, not only for us, but also with all of you! "Concord & 9th, where creativity meets!" All the fun meaning aside, it also just sounds like a fun place to visit! As we continue down this road, we look forward to seeing who else will cross paths with us at Concord & 9th. Follow us on social media for inspiring projects, product updates and how-to videos. 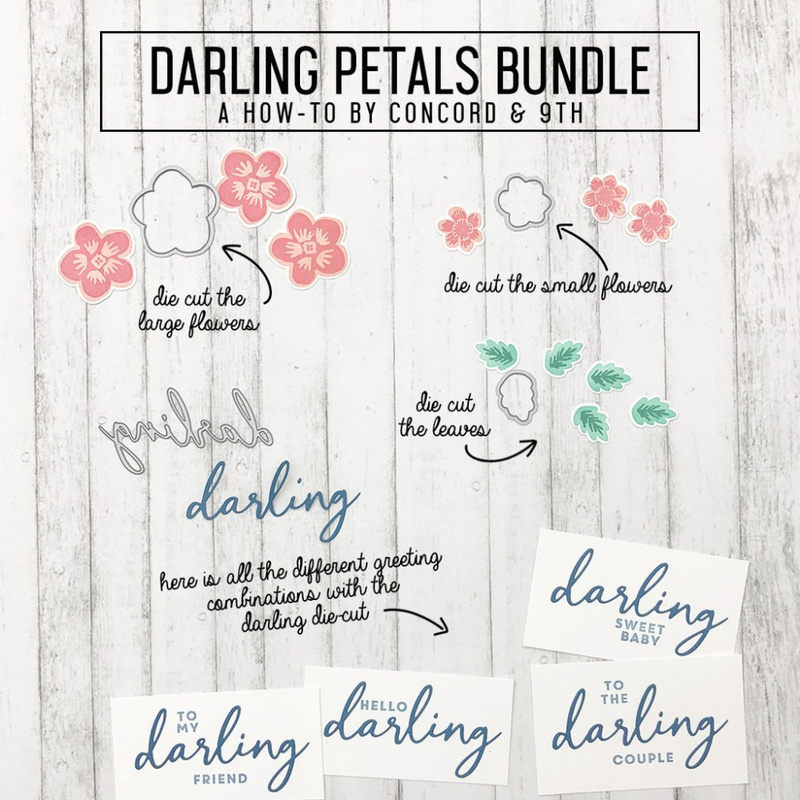 When you use our products, be sure to include #concordand9th so we can be inspired by you too!